Click the title to read the article, “Round Rock resolution rails against Endangered Species Act” which appeared in the Austin American-Statesman on March 8, 2012 by Benjamin Wermund. 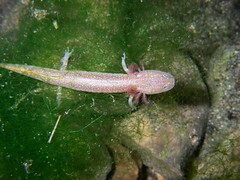 Here’s a link to an Austin American-Statesman article published January 13, 2012 regarding Williamson County Conservation Foundation’s plans to fund additional studies on the Georgetown Salamander (Eurycea naufragia) and the Jollyville Plateau Salamander (Eurycea tonkawae). 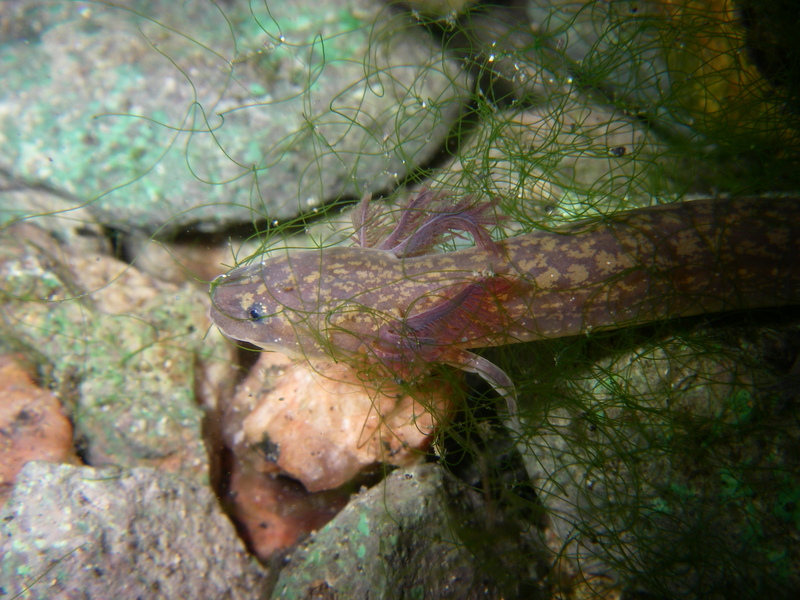 Austin American-Statesman Reports on Georgetown Salamander. 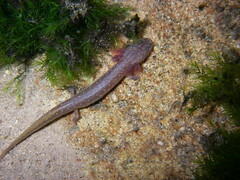 An October 18, 2011 article from the Austin American Statesman entitled “Salamanders and their federal ‘red tape’ latest to vex Williamson County officials” discusses the impending listing of the Georgetown Salamander (Eurycea naufragia) and includes and interview with biologist and Eurycea researcher Dr. Ben Pierce of Southwestern University. I’m sure we fellow biologists might agree that E. naufragia is more than just red tape! 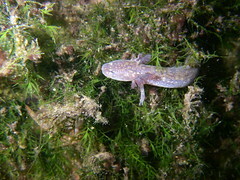 Biologist Ben Pierce of Southwestern University searches for the Georgetown Salamander (Eurycea naufragia). Photo by Andy Sharp, Austin American-Statesman. The Georgetown Salamander (Eurycea naufragia). Photo by Andy Sharp, Austin American-Statesman.